Breastfeeding moms should be aware that their food and drink intake will affect their breast milk. That is why eating healthy is one of the many things that moms do. In order to provide the best milk, they could give to their little ones. However, there are certain situations that make women want to have a drink. And, it is a fact that mothers are tempted to take a sip of wine or chug on a glass of beer on some nights mostly holidays. That is where the breast milk test strips for alcohol slide in. Many mothers receive differently and even conflicting pieces of advice when it comes to alcohol and breastfeeding. Many say “if you are sober enough to drive, you should be sober enough to breastfeed”. But we all know that there are more disadvantages of alcohol intake than there are advantages. Drinking alcohol gives you uneasiness and worry whether you will harm your baby. Not only when it comes to possible of passing alcohol into breast milk. Also your capability to take care of your baby when you’ve taken a drink or two. You may be able to spoil yourself with glass but of course, not to the point of intoxication. Now after that much-craved drink, you have to breastfeed your little one. How can you be sure that you’ve taken an amount of alcohol that’s alright for you to breastfeed? Breast milk test strips can help you! What are breast milk test strips for alcohol? Breast milk test strips are home tests for the level of alcohol that may be present in your breast milk. So, instead of guessing if it is okay to breastfeed your baby after a dose of drink, you can rely on these breast milk test strips. These are specially designed strips with tiny square pads in them. The square pads change color depending on the level of alcohol that has been screened and detected. Studies show that if a baby consumes alcohol through mother’s milk, it can result in serious harmful effects. It can be reduced growth or impaired development. If you want to avoid unwanted outcomes of drinking alcohol, it is truly helpful to use breast milk alcohol test strips. Physicians recommend the use of these test strips since they don’t have any associated adverse effects. These home tests are also very accessible and give you the results within a couple of minutes. With these test strips, moms don’t need to wait for a day or do certain preparations. They can have their breast milk tested for alcohol right away. These test strips help mothers in making sure that no alcohol passes through their breast milk. It frees them from the worries and uneasiness and will help them relax during feeding time. There is nothing better than a mom that is calm when breastfeeding. And this is what you feel when you pass the breast milk alcohol test. Additionally, you got to enjoy your favorite drink on a holiday too! Open packet, carefully tear the top side or indicated an opening to avoid tearing the test strip. Prepare breast milk to be tested. If you want to test frozen milk, it should be set at room temperature first and gently mix it before testing. Immerse the test strip into the prepared milk for testing or place a few drops on the testing pads. Place the test strip on a flat surface to ensure proper absorption of breast milk onto the test pads. Start the timer and wait for the results within the number of minutes specified and indicated to read. Interpret results. Compare the color of the reaction pad with the color card to determine the relative alcohol concentration. Some instructions may vary depending on the brand. It is important to check the package insert first before starting the test. The SafeWorx Test Strips can easily detect alcohol in breast milk. These test strips are sold in boxes of 25 strips. Each strip pouch includes a color comparison diagram for easy interpretation of the results. Instructions are also included in each pack. These test strips are perfect for moms who like to have a drink or two occasionally. Mothers love that these test strips not only tell you the presence of alcohol but also the strength of it as well. It will be very helpful so that moms will have a better idea when to test again to avoid wasting the strips. These strips are also very easy to read and are accurate. With these breast milk alcohol test strips, you will know within minutes if your milk is safe for feeding. Instructions are included, and very easy to follow. Simply saturate the strip in breast milk, and test the color between 2 and 3 minutes. Each foil pouch includes a comparison diagram so that you can check the alcohol content. 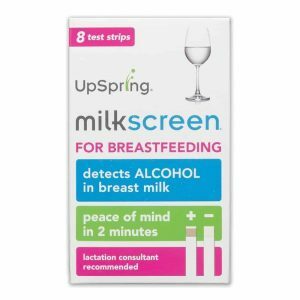 UpSpring Milkscreen test strips, like any other UpSpring products, are highly recommended by physicians and lactation consultants. These strips are known to be highly sensitive and detect even low levels of alcohol. The test pads on the strips are accurate and quickly analyzes your breast milk for alcohol. Mothers love that it is very easy to read and only takes two minutes for the result to come through. It is totally worth the peace of mind. UpSpring is also known for its high-quality products for breastfeeding. Drinking while breastfeeding can raise some questions. Are you throwing away breast milk unnecessarily? Are you giving your baby breast milk that has alcohol in it? Don’t guess, test! UpSpring Milkscreen breast milk alcohol test strips, the first and only test of its kind invented by UpSpring, is an easy, 2-minute at-home test that detects alcohol in breast milk. The breast milk test strips by Miloo are fast and easy to use. They provide concise and detailed instructions on how to test your breast milk for your baby’s safety. These test strips will not only verify the presence of alcohol in your milk but also the approximate graded result to determine the alcohol level of concentration in your milk. Many mothers love that these strips are very simple and easy to use. These test strips by Miloo are also recommended by physicians and lactation consultants worldwide. TO serve as mothers’ guide, a color chart with approximate concentration and recommended waiting time is included in each kit. Created and designed with the conscious and responsible mother in mind, Miloo breast milk alcohol test strips allow every breastfeeding mother the flexibility and liberty to enjoy an alcoholic beverage from time to time without the doubt and uncertainty about the health and well-being of their child. Miloo introduces a unique and inexpensive option that will allow a breastfeeding mother to quickly test a droplet of their ever so precious milk and know whether breastfeeding at that moment in time would be safe for their child. In less than 2 minutes results will show if any alcohol is present at all and if present our color guided palette will inform you approximately how long it will be until you can test again and hopefully yield a negative result! Many mothers find these test strips by SafeMilk as very helpful since they are very accurate and precise and also very easy to use. With the SafeMilk test, you’ll be sure and certain whether your breast milk contains alcohol or not and whether it is safe for you to breastfeed your little ones. Moms love that they not only give positive or negative results but more. The color on the test pads represents the amount of alcohol in your milk. You can also find out an estimated amount of alcohol in your breast milk. This is a very precise tool which is made to find even the smallest traces of alcohol in your milk. This is why these tests can return positive results even when you do not feel affected by the alcohol and you feel like it is okay to breastfeed. The chart provided also shows you how much time is needed for the alcohol to disappear from your system. These test strips are also medically approved to ensure safety and product quality. Know whether your milk is alcohol-free after having an occasional drink and if it is safe to feed your precious one. According to The American Academy of Pediatrics Section on Breastfeeding and many other reliable sources, ingestion of alcoholic beverages, not more often than occasionally, is not harmful if no more than 0.5 g alcohol per kg body weight is consumed. That, for a 60 kg mother is approximately 2 oz. liquor, 8 oz. wine, or 2 beers. Having Safe Milk Breast Milk Alcohol Test Strips you do not need to pump & dump milk after drinking alcohol, unless for your own comfort. It is always best to be cautious, and that is where Rapid and Highly Sensitive Safe Milk Breast Milk Alcohol Test Strip set comes in handy! The product has incredibly accurate instructions so you will not get confused. Test Strips are highly sensitive to the presence of alcohol and color pads change color depending on the concentration of alcohol in breast milk. The Pregmate alcohol breast milk test strips are physician recommended and lactation consultant approved. These breast milk test strips are highly accurate and reliable. Moms love that these test strips also determine the level of alcohol that is possibly present in your breast milk. Therefore, giving them more peace of mind when breastfeeding their precious little ones. Each test strip is conveniently and safely packed in an easy to open pouch. These test strips are super easy to use, you will just simply saturate test pad with breast milk: Express milk directly onto test pad or dip test pad in a small portion of milk from a pumped sample collected in a clean, dry container. Results will show just after a couple of minutes so you won’t have to wait long. Pregmate One Step Alcohol Breast Milk Test detects the presence of alcohol at a level of 20 mg/dL or greater in breast milk. The test consists of a plastic strip with a reactive test pad attached to the tip. The test pad will change color on contact with breast milk that contains alcohol. PureMilk breast milk alcohol test strip is an easy and hassle-free way to make sure that your breast milk doesn’t contain any alcohol. Moms only need to simply dip the test strip on the prepared milk to be tested. And get the results just after a couple of minutes. Unlike other breast milk testing kits that only show a negative or positive result. The HealthyWiser premium strips have a graded chart for more detailed and accurate results. These test strips are convenient and are affordable too! Looking for an easy and quick way to detect alcohol levels in your breast milk? Need a convenient and hassle-free breast milk alcohol testing kit on-the-go? Want to make sure that your breastfeeding milk is healthy for your little baby? When it comes to testing your little angel’s health and wellbeing, you cannot afford to settle for low-quality, inaccurate and impractical breast milk testing kits! After all, you don’t have to worry about having that occasional cocktail or beer! Now you can easily detect the alcohol levels in your breast milk and make sure that your baby is safe and healthy effortlessly! Our PureMilk breast milk alcohol testing set contains 25 handy and convenient test strips, so you can easily monitor your breast milk’s alcohol levels from the comfort of your home or on-the-go! The key phrase in this is any alcohol. While frequent, excessive drinking is strongly discouraged, there is nothing wrong with the occasional alcoholic beverage. Nursing mothers should only drink in moderation. A good way to put a number on “drinking in moderation” is limiting drinking to a single beverage one or two times a week. Go ahead and enjoy a glass of wine or favorite beverage every now and then. The time required for alcohol to leave your breast milk depends on your body weight, the alcohol content of the beverage you were drinking, how many ounces you drank, and the amount of time it took you to drink it. That being said, if you can safely and legally drive a car without concern of a DUI, you are most likely sober enough to breastfeed your baby. Waiting at least two hours after a single drink is the wisest course of action. The myth that alcohol builds milk supply is a pretty old one, based largely on lay opinions. Research has not only debunked this myth but showed the exact opposite to be true. Not only does downing that beer or glass of wine does not build supply. It actually serves to decrease your breast milk supply and inhibit milk letdown. It is far better to stick with established methods of boosting breast milk supply instead. This myth ties back into the myth about blood alcohol levels. Your breast milk will have the same alcohol level as your blood. “Pumping and dumping” will not speed up how your body processes alcohol out of the system. All your body needs is time to rid your breast milk of alcohol. There is no need to pump and dump milk unless you are experiencing discomfort from engorgement. The American Congress of Obstetricians and Gynecologists recommends waiting for two to four hours after a single drink before breastfeeding, at which time your baby’s exposure to alcohol will be very low. This myth is also far from the case. When you drink, the alcohol content is diluted in your bloodstream, and the alcohol in your breast milk is diluted in your baby’s bloodstream. Think of it this way, the average glass of wine is around 10 percent to 12 percent alcohol. A mother who is 120 pounds who drank two to three glasses of wine over an hour would have an estimated blood alcohol content of between 0.06 percent to 0.10 percent alcohols. That’s significantly less. The same goes for your baby. If he would drink breast milk that was 0.08 percent alcohol, his alcohol level would be far less than that. However, as a baby has much less blood, the dilution will be less. This is why it is recommended to wait to breastfeed until most of the alcohol has left your bloodstream. The myth that as alcohol transfers to breast milk it will have a soothing effect on the baby is fairly persistent. However, medical research has shown the opposite to be true. Breastfed babies of light drinkers sleep less than babies of non-drinkers. Alcohol in breast milk actually disrupts a baby’s active sleep. Therefore alcohol causes a baby to wake more frequently a night. So if you are looking for ways to get your baby to sleep better at night, this is not a method you want to use. Stepping away from our short simple answer to give a more complicated response, what research shows is that those babies of mothers who drank alcohol experienced disruptions in the amount of time they spent in active sleep. Incidentally, it’s not just babies who have experienced this disruption, tests run on adults and animals who drank alcohol also experienced issues in the same area. What’s even more troubling, if a mother would try to use this technique on a regular basis, drinking even one alcoholic beverage on a daily basis can have negative effects on a baby’s gross motor development. It is simply not a road that parents should go down. Amount of alcohol: The amount or volume of consumed alcohol is directly proportional to the effect it will give to your baby. The more alcohol consumed, the more time it will take to be cleared from the body. Your weight: A mother’s weight and size is related to how she will be able to metabolize alcohol. 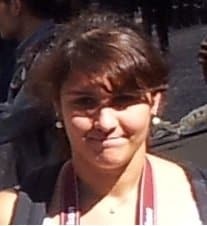 A heavier person can metabolize faster than a lighter person. So, it is important to note your alcohol intake based on your weight. Food intake: Eating before drinking is also considered. An alcoholic beverage, if consumed with food results in decreased absorption. Baby’s age: Newborn babies have underdeveloped and immature liver, therefore will be heavily affected by alcohol. Babies will have difficulty in metabolizing alcohol up until three months of age. An older baby can metabolize alcohol better than newborn and younger infants. We do not encourage mothers to drink alcohol since apart from alcohol affecting the breast milk, getting intoxicated will also affect your reflexes and responses and it will change the way you look after your baby.